These five used car models have caught our eye this month and are gathering a lot of attention from used car dealers throughout the UK. If you're looking for a used car, these are our top picks of the moment. Lo and behold, the second hand Seat Leon. The Leon offers a very similar package to the Ford Focus, but stands out for its added class and style. 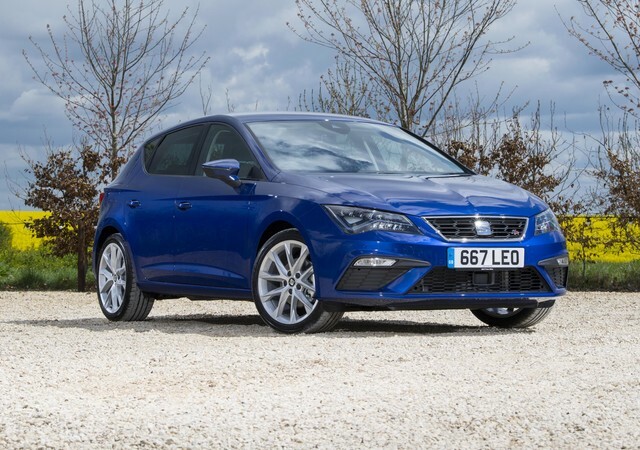 The Leon has slightly more interior space when compared to its rival, while still offering an impressive drive for a very similar average price mark of around £8,000. If you're on the lookout for this model, be sure to hunt for options with an added technology pack. For added boost, A 2.0 Litre diesel engine or turbocharged 1.4 Litre petrol both offer a great level of performance and economy. These options vary in price and will add up to £1,000 to the price of a standard second-hand model. Driving keeps getting greener. So far, 2019 has seen a rise in electric and hybrid purchases, and one in 12 new cars bought now reportedly fall into this category. This year is set to see the biggest purchase of used, alternative-fuel vehicles in the UK yet and as far as supermini's go – the used Toyota Yaris Hybrid is on the wish-list for lots of people. Contrary to popular opinion, electric or hybrid vehicles don't need to be large, premium and bought first-hand. Toyota's Yaris Hybrid offers a small, but smart petrol-electric propulsion and affordable running costs to boot – all from the price of £6,300, used. When it comes to space and practicality, Estate cars still offer great used car value. The choice of estates on offer is massively varied, but one model which is very difficult to ignore is a second hand Skoda Superb Estate. One of the Skoda's top benefits is its vast 660-litre boot (with the rear seats up), making it one of the most practical estates on the market. With the seats down, this number almost triples to 1,950 litres. What's more, the car has a very well designed interior with its third generation model offering the little features worth looking out for, like handy umbrellas in its doors, baggage nets in its boot, and masses of cabin storage - making it one of the best, quirky cars in its class. The Qashqai is one of the first mid-sized SUV's of its class and you can pick one up for a very reasonable price on the second-hand market. Its normal version can be found from upwards of £8,000, while its Acenta trim can be as low as £10,000 - the majority with relatively low mileage. Each used Nissan Qashqai is fitted with climate control, hill start assist, a five-inch colour screen and speed limiter/cruise control. Acenta models on the other hand offer an additional dual-zone climate control, 17 inch alloys, automatic lights and wipers, which - for its price range and stylish finish, we think is an absolute steal. The Kia Sorrento makes its way into our top five, against its competitors in the large SUV category. For a lot of customers, value for money in this category has become a huge factor when looking at used cars over recent years and now rivaling the Land Rovers and Volvo's of the world, comes Kia. The used Kia Sorento, 2018 model can be found for as low as £16,000 and this gets you a hard wearing, smart looking 7-seater, which when compared to its bigger competitors, is very modest in price.